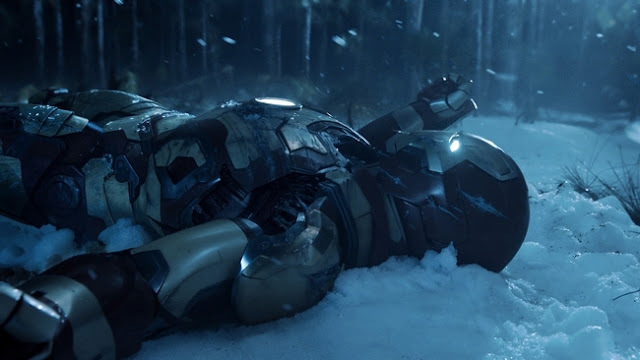 Iron Man 3 slowed another 35% but still managed to clinch its fourth, and what will likely be its final, top spot finish with 696,310 admissions. The blockbuster extravaganza has now accumulated just shy of 8.5 million admission, making it second to only Avatar's 13.4 million for Hollywood films on the peninsula. 10 million is certainly possible at this point, a figure no one would have predicted last month, but with direct competition next week it will likely take a steep fall that may prevent it from hitting the mark. Opening at number two was the N.E.W (Next Entertainment World) thriller Montage with 556,161. Starring popular actress Uhm Jeong-hwa, the child kidnap-themed film looks to hit the same chord as many before it, including 2011's Children... and Memories of Murder (2003). In fact co-star Kim Sang-kyun seems to be reprising his role as a frustrated detective from the latter. Reviews have been decent and given the film's content it may continue to do well but it'll be a battle in a crowded field. The Great Gatsby opened at number three with 525,255. A solid result for a film based on a property that has little to no pull in Korea. Its glitziness and the presence of DiCaprio were likely the biggest factors for its success. That said I wouldn't be surprised if it suffered a big drop next week. Following solid previews, US animation The Croods had a decent opening with 305,467. Given its stellar performance around the world, it should stay strong over the coming weeks. Local dramedy Boomerang Family was unable to capitalize on its wide opening as it slid 45% for 241,899. Its just shy of one million now but won't go much further than 1.5 when all is said and done. Meanwhile Lotte comedyHappiness for Sale, a new vehicle for Petty Romance (2010) and My Scary Girl (2006) star Choi Gang-hee, had a poor opening with only 180,705 admissions. Unless significant word of mouth kicks in, it will likely exit theaters quickly. Next week should find a new film at the top as Fast & Furious 6 should end Iron Man 3's reign. Previously, Fast Five opened with 480,000 and eventually the fourth installment in the franchise and I imagine we will see another big rise here. 750,000 or more is not out of the question. Before Midnight will also be opening and may attract a modest crowd as well.